Perfect pale pink pearls are the focal point of these interesting earrings; beneath the large pearls hang little rice shaped, slightly uneven, pearls of the same colour. 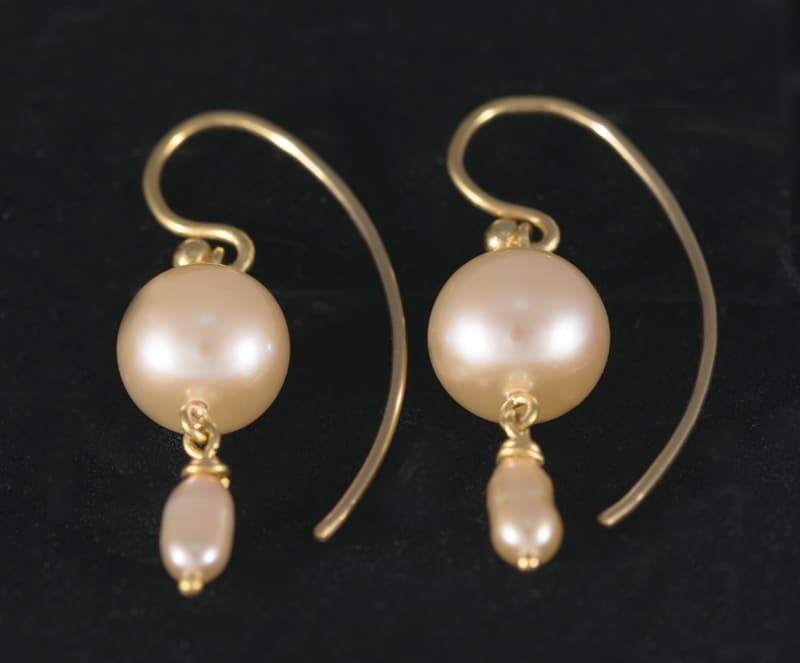 As a change from the norm, the ear wires on these earrings are much longer than usual which causes them to curl down behind the pearls and become a feature in the design themselves. Easy to wear, these earrings are feather light and every-day useful.